Are you one of the countless people who have lost their jobs through no fault of your own and temporarily lack the steady income to pay your mortgage? Well there is a light at the end of the tunnel. Read the Boston Globe article below for more information on this interest free loan from the US to help you keep current on your mortgage. And REMEMBER we can help and get you all the information you need and see if you qualify. Unemployed homeowners may be able to borrow up to $50,000 to help them make monthly mortgage payments — and in some cases not have to pay the money back — under a federal program unveiled yesterday that allocates $61 million to Massachusetts. The zero-interest loan program will benefit several thousand homeowners in the state who are facing foreclosure because they lost their jobs and have depleted their savings. Nationwide, about $1 billion is being allocated to assist 50,000 homeowners struggling to keep up with their mortgages, said Shaun Donovan, secretary of the Department of Housing and Urban Development. “Countless people who have lost their jobs through no fault of their own temporarily lack the steady income they need to pay their mortgage,’’ Donovan said during a news conference at Urban Edge Community Development Corp. in Roxbury. Nonprofit community groups such as Urban Edge will be involved in administering the program. “We can fight foreclosures and unemployment and we can help our communities recover,’’ he said. 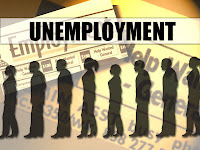 Long-term unemployment is now considered a primary reason for the escalating number of foreclosures in the United States. The federal effort, called the Emergency Homeowner Loan Program, supplements a $7.6 billion campaign the US Treasury Department launched earlier this year to help out-of-work homeowners in 18 states, and the District of Columbia, that were hardest hit by the recession. The Treasury program also is aimed at homeowners whose mortgages are underwater, meaning they owe more than what their properties are worth. The new HUD program announced yesterday expands assistance to the remaining 32 states, as well as Puerto Rico. US Representative Barney Frank, who attended the news conference yesterday, said unemployed homeowners are innocent victims of the country’s foreclosure crisis. Frank, a Newton Democrat, said he lobbied to get a $2 billion loan allotment for jobless homeowners included in the Dodd-Frank financial regulation overhaul Congress passed last summer, but the amount was later reduced to $1 billion. He said he hopes to increase funding for the program eventually. In some cases, the government loan could actually turn into a gift, officials said. Under the program, as much as $50,000 can be borrowed over two years, depending on the applicant’s qualifications. Borrowers who remain in their homes and stay current on mortgage payments for five years after that will not have to pay back all of the money; for those borrowers, the government will reduce their loan balance by 20 percent annually until it is eliminated, according to HUD. The news of the mortgage-loan funding for Massachusetts was lauded by local housing advocates who have pressed the government to assist unemployed homeowners. 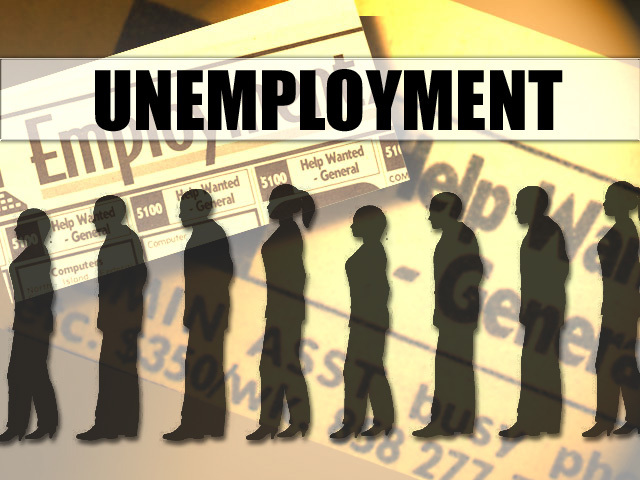 The state’s unemployment rate is 8.8 percent, compared with 9.6 percent nationally. During the first eight months of the year, 9,887 Massachusetts homeowners lost their properties to foreclosure, surpassing the 9,269 recorded during all of last year, according to Warren Group, a Boston company that tracks local real estate. To qualify for a loan, borrowers must show their income is no higher than 120 percent of the Boston area’s median income, or $110,150 for a family of four. They are also required to provide documentation proving that their income has dropped at least 15 percent and that they are at least three months behind on mortgage payments. Borrowers also must have a “reasonable likelihood of being able to resume’’ paying their mortgage after two years by proving they did not have a high amount of debt before they became unemployed. Yesterday’s announcement was made as Massachusetts’ attorney general, Martha Coakley, urged four of the nation’s largest lenders — GMAC Mortgage, JPMorgan Chase, Wells Fargo, and Bank of America Corp.— to cease foreclosures in Massachusetts until they can prove that their paperwork is accurate. Last week, Bank of America became the latest national lender to say that it will temporarily halt foreclosure proceedings in 23 states that require a judge to sign off on bank seizures. Massachusetts does not require court approval for foreclosures. At the Roxbury event, Donovan said federal regulators also want to make sure lenders are abiding by the laws governing foreclosures. “Nobody in this country should lose their house because of [a paperwork] error,’’ he said. Mayor Thomas M. Menino of Boston, who also was at the news conference, said lenders need to work harder to help homeowners who are behind on mortgage payments. I have just taken out my first personal loan and i must say i am extremely impressed as to how straightforward the services is. All i had to do was applied and filled out the application form and submit it! I was then told in about 10 minutes that i was accepted and that the funds has been approved and on the way to my bank after submitting the required information’s and i received a loan of $35,000 USD! Extremely impressive. Now i have my own car and also have my own business thanks to JENAS PEDRO LOAN FIRM. Apply for your loan today without any stress with JENAS PEDRO LOAN FIRM email them now on ( jp_loanfirm@hotmail.com ). Thanks.